Thursday 6th December 2018, Paris, France – Novaquark, the French studio behind the hugely-ambitious PC MMORPG, today released as-yet-unseen-footage of Dual Universe's new gameplay features. Hot on the heels of Dual Universe’s first Alpha launch last week, codenamed ‘First Contact’, Novaquark has released a breath taking, in-depth video which explores the world and the features that the award-winning MMOPRG has on offer. Narrated by Jean-Christophe Baillie, CEO of Novaquark and Baptiste Agati, Game Designer of Dual Universe, the video aims to cover in great detail the features that are available right now in Alpha. 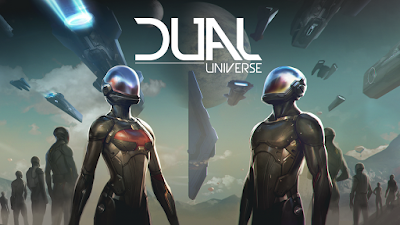 Dual Universe is a continuous, Single-Shard sandbox MMORPG, which takes place in vast, fully editable Sci-Fi universe. It focuses on emergent gameplay with player-driven economy, politics, trade and warfare.